Prime Minister Narendra Modi on Saturday described Sri Lanka as India’s special and trusted friend in South Asia and the Indian Ocean region while assuring New Delhi’s continued development aid cooperation with the island nation. “When I look at Sri Lanka, I see not only a neighbour, but a very special and trusted partner of India in South Asia and in the Indian Ocean,” Modi said while jointly e-flagging off with Sri Lankan Prime Minister Ranil Wickremesinghe the second phase of the pre-hospital emergency ambulance service set up with Indian aid. “I believe that our development aid cooperation with Sri Lanka is an important means for translating our vision of shared progress into reality,” he said. 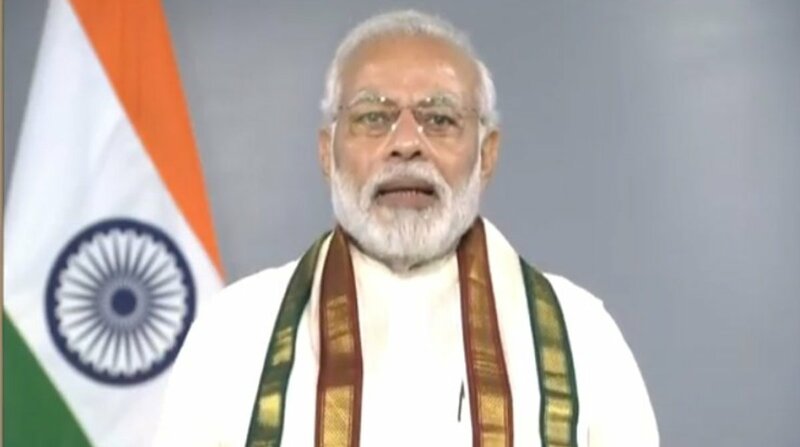 Addressing the gathering in Jaffna in Sri Lanka’s Northern Province via video link from New Delhi, Modi recalled that during his visit to Sri Lanka in 2015, Wickremesinghe had first broached the idea of Indian aid for an island-wide emergency ambulance service and the first phase was rolled out in the country’s Western and Southern Provinces in July 2016. “During my visit last year, I had promised that India will work for expanding the pre-hospital emergency ambulance service all over Sri Lanka,” he said. He urged the people of both countries to be in constant touch with each other so that both sides know each other better and become even closer friends. On his part, Wickremesinghe said that this free emergency ambulance service became possible only because Modi kept a promise that he had made earlier. “We are investing a lot in health and education services and for this we are getting a lot of aid from the Indian government,” he said while thanking his Indian counterpart. Wcikremesinghe also congratulated Modi for winning the no-confidence motion in the Indian Parliament on Friday.